Looking to find the best erector set toy for your kid? Here we have reviewed 11 erector toys and game sets that are perfect for kids who love building kits. Whether they prefer motorized sets, modern sets or large erector sets, there is something to suit everyone here. For kids who love Lego erector sets, building things, solving puzzles or have an interest in STEM subjects, the construction toys and game sets are the perfect toy. With numerous pieces including nuts, bolts, wheels, screws and even motors in some sets, they are ideal for kids 8 years and above to learn about the real life construction process, including the challenges and intricacies, and of course the joy when the project is finally finished. As an educational toy, it comes with many advantages and benefits for your kids. These include; the development of basic skills like hand-eye coordination, fine motor skills, problem-solving abilities, as well as improved imagination and creativity. Many parents, relatives, and other loved ones face the challenge of deciding what Erector building playset they should choose as a birthday or Christmas gift. It’s tricky, with a whole lot of products to choose from, how do you know which ones are great for your kids? Here we have 11 top sets for kids of all ages including teens. Each one has unique features and can be used to build different types of models. We have included both plastic erector sets as well as metal erector sets. Each of the 11 erector toys are fun and challenging at the same time, which is just what you want from toys like these. The Eitech classic series crane with windmill provides clues into the everyday life of an engineer on the worksite carrying out construction work. The set has 270+ building pieces and tools made from durable polished steel. This classy, unique and long-lasting toy is the next step in building for kids who are experienced with LEGO sets. It’s great for kids 8 years and above – the perfect gift to give to celebrate their birthday or keep them busy during holidays. With this crane construction set, kids begin a whole new experience of building, an adventure they will never tire from. Rather, they will get more involved and interested in this toy as they build different engineering structures such as bridges, cranes, windmills and more. Using the step-by-step illustrated instruction guide with easy to follow directions, kids can create all these models, or use their imagination to design their own! Kids get to learn several mechanical functions and concepts by building each model. The toy promotes innovation, creativity and cognitive development. Once your child has mastered building the basic crane model and is ready to build more complex and intricate models, you can add the C131 professional gear set. 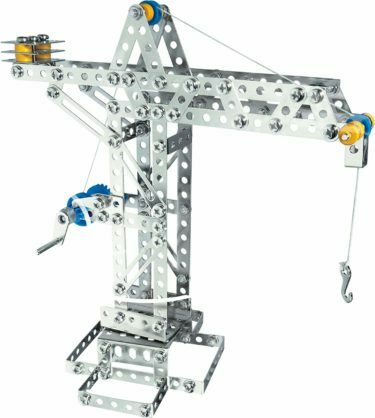 This erector set is designed and developed with the experienced erector modeler in mind. 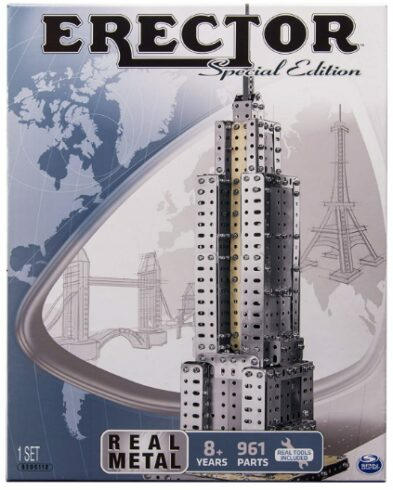 It’s a special edition building toy that offers the builder (kids above the age of 8) everything they need to construct a detailed model of the Empire State Building. Other special edition kits can be used to build rockets, race cars, airplanes and famous building and bridges from around the world. The 961 pieces of this set are sure to keep kids busy for hours. They can also be used with other metal erector sets for creative building fun. Kids can build the famous Empire State Building from scratch, adding finishing touches with the special components provided in the Erector building set pack. Of course, the kit also comes with instructions which are quite easy to follow. Once the Empire State Building is completely built, it makes a stunning replica display of the real thing. The building process is quite lengthy, but this teaches kids to be patient. It also helps make them more creative and imaginative, and they will have a sense of accomplishment when it is finally done. Builders also learn to appreciate the intricacies of the world-famous building they admire. 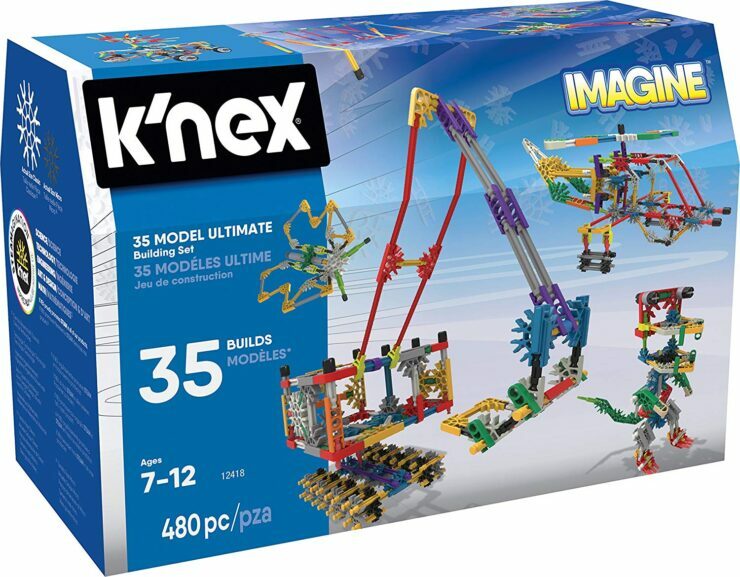 With the K’NEX 35 Model Building Set, you’ll unleash the sense of imagination in your kids and fuel their ability to be creative. The set comes with 480 K’NEX pieces in a mix of classic and micro size. It includes rods and connectors that attach to one another in different ways. This allows kids to improve on their artistic skills by coming up with variety of shapes, figures and models. The snap fit design of the pieces of this erector set makes them stick together securely. They can easily be detached and reassembled into other creations and models. The set also includes an instruction booklet that shows kids how to create 35 distinct models with step by step instructions. Some of the models which can be built include trucks, helicopters and auto parts such as wheels, wings, rotors and tracks. You are sure to see your child’s imagination grow as they build a range of models with this set. As well as providing immense fun, kids will strengthen skills such as hand-eye coordination, fine motor skills, problem solving abilities and spatial awareness with this great set. This set greatly inspires young creators with its versatile format. Kids can create real working vehicles and moving structures, as well as animals and tall buildings. 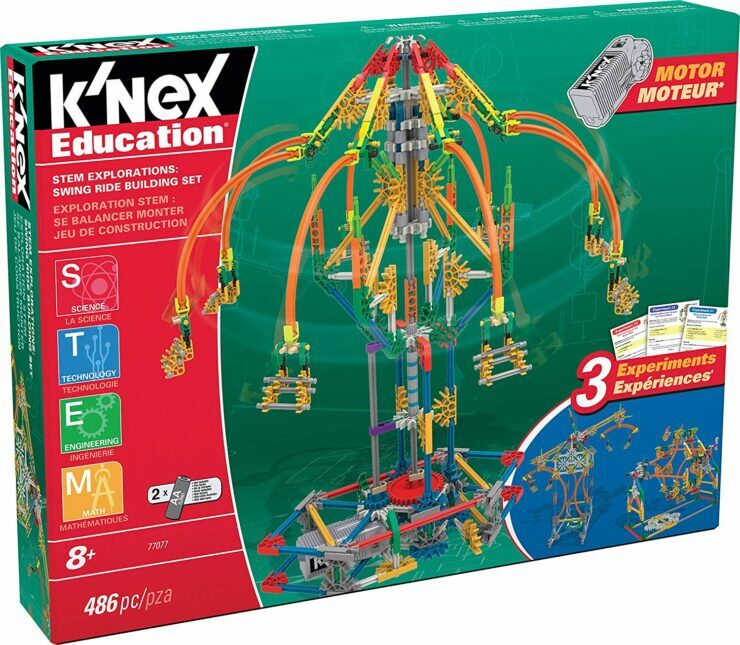 The K’NEX 70 model building set comes with 705 pieces of rods and connectors which can be combined in different ways. There’s also an instruction booklet which shows 70 different models and step by step guidelines to building them. The set also comes with a handy storage box to keep all the pieces to avoid misplacing any. Ideal for kids 7 years and above, this educational toy not only provides hours upon hours of fun and entertainment, but also helps your child better understand STEM subjects (science, technology, engineering and math). This amazing set also develops hand-eye coordination, fine motor skills, problem solving abilities, spatial awareness and the imagination. 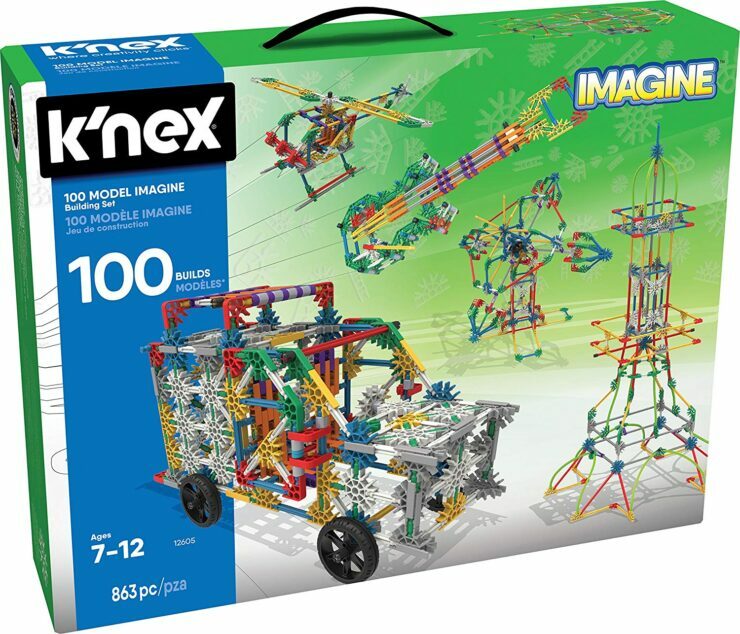 If your child can imagine it, they can create it using the K’NEX 100 model building set. The set contains 863 construction pieces and parts of unique rods and connectors to build more models than ever before. The illustrated instruction booklet which comes with the set provides kids with 100 distinct building ideas. Some examples include race cars, trucks, fancy motorcycles, helicopters, dinosaurs, famous buildings, creepy crawlies and amusement park rides. This educational toy provides endless entertainment, promotes cooperation and teamwork and helps guide budding engineers to constructing amazing creatures. Recommended for ages 7 to 12 and perfect for kids to share, this represents a means to continuous understanding of fundamental science, technology, engineering, arts and math (STEAM) subjects. It supports developmental growth by strengthening hand-eye coordination, fine motor skills, problem solving abilities and spatial awareness. It also exercises kids’ natural curiosity, creativity and imagination. This K’NEX set also provides a hassle-free portable suitcase storage box so that you do not need to worry about where to store small pieces to avoid them becoming lost. The swing ride toy set is ideal for kids 8 years plus. It comes with 486 brightly colored play pieces. These pieces include different sizes of connectors, gears and multiple styles of rods. There are some short, long, straight and curved rods, all of which can be attached together to build simple structures or elaborate constructions. With this set, kids can build 3 distinct amusement park ride models. These include a fully functional swing ride, a boom ride or a Ferris wheel (only one model can be built at a time). The set also includes a motor powered by 2 AA batteries to make your kids’ models come to life! A downloadable experiment booklet guides kids through 3 hands on, inquiry-based tests on each model. By adding different masses to the swing model, children will get to understand the more the mass, the slower the speed of the ride. With the Ferris wheel and boom ride, experiment guidelines help kids learn the concept of mass, speed, gravity, and more. The erector set fosters cooperation and teamwork among kids – the models are perfect for 2 or 3 children to work together on. It also helps develop their natural curiosity and creativity and promotes camaraderie and the development of social skills. For ages 9 and up, the 4×4 off road truck building model set provides a medium for exploration and experimentation with real engineering and motors. This erector pack comes equipped with 443 durable real metal parts, rough and ready off-road wheels and reliable ergonomic tools. It also includes an easy to follow instruction booklet which highlights guidelines for your kids to create one of 25 cool, custom, motorized models. Kids can mix and match pieces to come up with their very own dream machine designs, for open-minded fun. They can then take it all apart again and rebuild from scratch with another super design, letting their creativity come alive. The other components that comes with this set are the 6 V electrical motor that ignites through the use of 4 AA batteries (the batteries are not included in the pack) and 2 real tools for the construction process. 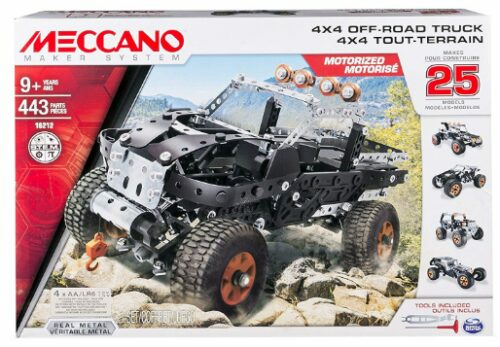 This Meccano set makes building a blast, with detailed models and motorized 4WD and gears for the front and back wheels. The set delivers other dynamic details, including doors that can actually open and close, rotating off-road wheels and more, which exposes the kids to mechanical wonders of the world. Kids get to improve on basic skills like hand-eye coordination, problem solving abilities and more, whilst also learning more about STEM subjects. 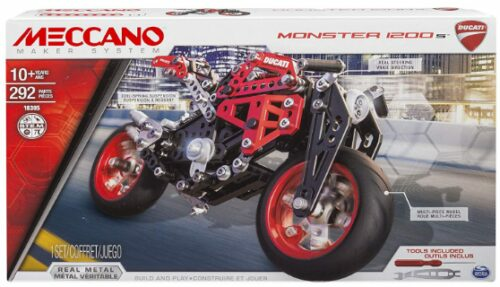 The Meccano Erector Ducati Monster 1200S set allows kids to replicate the famous and iconic Ducati bike and all of its awesome trademarks. The challenge, which is considered ideal for kids above the age of 9, is unique as well as engaging and interesting. The set includes 292 parts with features such as real steering, multi piece rubber wheels and a coil spring rear suspension, all of which can be joined together to build the amazing motorcycle. The 1200S model pack also comes with 2 real tools to fit the pieces together, metal screws and bolts, a sticker sheet for kids to customize their creation and a step by step instruction booklet to guide kids through the building process. Each building section provides a brain teasing, rewarding experience that yields an enormous sense of accomplishment upon completion. Once your child has built the Ducati monster bike, they can take it for a spin. There are no batteries required, and kids can learn about the mechanical wonders of the world. The authentic metal parts and tools makes building this wonderful model a real taste of engineering. It is ideal for stimulating the imagination and encouraging a lifelong enthusiasm for STEAM (science, technology, engineering, art and math) learning. The motorized erector set MeccaSpider robot kit offers a challenging but entertaining, rewarding build that will sure keep kids engaged for hours with its 291 pieces, including specialized parts such as the MeccaSpider brain module. Its ideal for budding makers and STEM enthusiasts aged 10 years and older. The construction process is made easier with the use of 2 hand tools and an instruction sheet with guidelines for building. The robot features a unique personality and 3 behavior modes; autonomous, guard and attack modes. An in-built IR sensor allows the spider to navigate smoothly around obstacles and detect movements. The free Meccano app lets kids take manual control of their creation; emitting cool sound effects and spraying water on command for example, using a compatible iOS or Android mobile device. The MeccaSpider also features an integrated button panel for hands-on control. After kids have assembled the robo-spider, they are charged with the responsibility of also programming it to suit their preferences. The MeccaSpider then opens an array of possibilities for interactive play, including built in games such as “repeat after me” which challenges kids to copy an array of LED patterns. There’s also “the venom attack” which can be played with a group of friends. This game involves moving about without been detected by the spider. Kids get to learn the fundamentals of engineering and programming as they identify the purpose of each component and assemble a fully-functional robot. This building set launches your kid into the world of engineering, refining their STEM knowledge and passion. The system pack contains 638 brightly colored pieces, user friendly and simple tools and a real 6V electric motor. So, it gives your kid all that’s needed to create a wide variety of motorized creations time and time again. Some examples include a crane, a buggy, a broadcasting vehicle, a helicopter or anything they can imagine. There are instructions for creating 25 great models. Made for kids 10 and above, this erector set is a perfect choice for the inquisitive minds, stimulating the imagination and providing a rewarding experience that yields a great sense of accomplishment. The super construction 25-in-1 erector toy set comes with several unique components including a rotary body and an extendable hook. These parts are sure to spark your kid’s imagination, giving them a true taste of engineering, mechanical fundamentals and high tech robotics. With this inventive creation system, kids can learn and discover a wide array of invaluable skills and virtues such as hand-eye coordination, problem solving abilities, fine motor skills, patience, teamwork and more. Get your kids ready for stomping, chomping robotic fun with the Meccano Meccasaur, which they will hand-build by themselves. Children also have the luxury of customizing and programming their brand new robo-dino as they so wish. This robotic dinosaur, when completely built, is an impressive 3 feet long. The real-life walking T-Rex features realistic behavior and a fun sense of humor. Children will enjoy the creative challenge of building this friendly robot alone or as a fun activity with friends or parents. They will be exceedingly happy and proud when the dino successfully comes to life. Meccasaur roars, responds to petting, guards and attacks and even answers yes or no questions. The great programmable robot toy brings more than just fun and entertainment, it has kids drawn to the concepts used in STEM subjects. 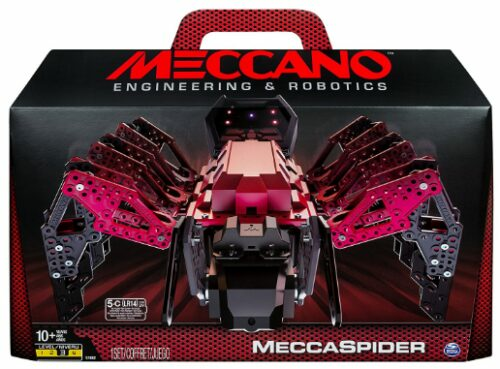 This Meccano building set is intended for kids age 10 and above. Each set pack contains 715 pieces, a motorized Meccasaur module, a light-up LED module, 1 Meccasaur brain, 2 hand tools and an instruction guide. The constructed robo-dino requires 4C batteries to come alive (note that the batteries are not included in the pack). Beyond buying your child an erector set, its highly important to make sure that you are getting one that suits your child’s age, abilities and needs. If you get one that is too easy for them, it will be totally unchallenging, unexciting and in the long run boring. If you get one that’s too difficult for your kid to decipher, they will be put off, unhappy and possibly believe they aren’t good enough which might lead to low self-esteem and morale, lack of confidence and a loss of interest in STEM matters. Just as stated above, the complexity level differs from one to another, therefore as a parent, you should find out some information about the difficulty level of the toy. Choose themes that your kids are familiar with. 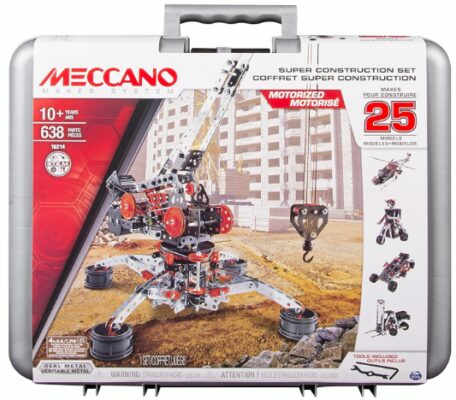 For example, if your kid loves robots, then a robot erector set will be a perfect gift like the Meccano Erector MeccaSpider Set. If the interest is on trucks and cars, a vehicle theme is a must, such as Meccano Erector 4×4 Truck Model. You might want to go for well known manufacturers; some of which are Meccano, Erector, K’NEX, Eitech and Engino. For robotics; the Meccano Erector MeccaSpider is great, quite simple and fun with its unique features of spraying water as the attacking prowess of a real-life spider. However, our overall best pick in this section will be the Meccano MeccaSaur. An impressive 3 feet long play robot that can roar, responds to petting, guards and attacks, answers yes or no and offers real stomping action. It takes our number one spot for robotics. For vehicles; our top pick is the Meccano Erector 4×4 Truck Model, it is an exciting set with detailed models and motorized 4WD, with gears for the front and back wheels. The set also delivers other dynamic details, including doors that can actually open and close and rotating off-road wheels. For buildings: constructing an exact Empire State Building is enough fun and accomplishment on its own for kids who love architecture. The whopping 961 pieces can also be used to create other models, making this kit more outstanding. Our pick in this area goes to Erector Empire State Building. 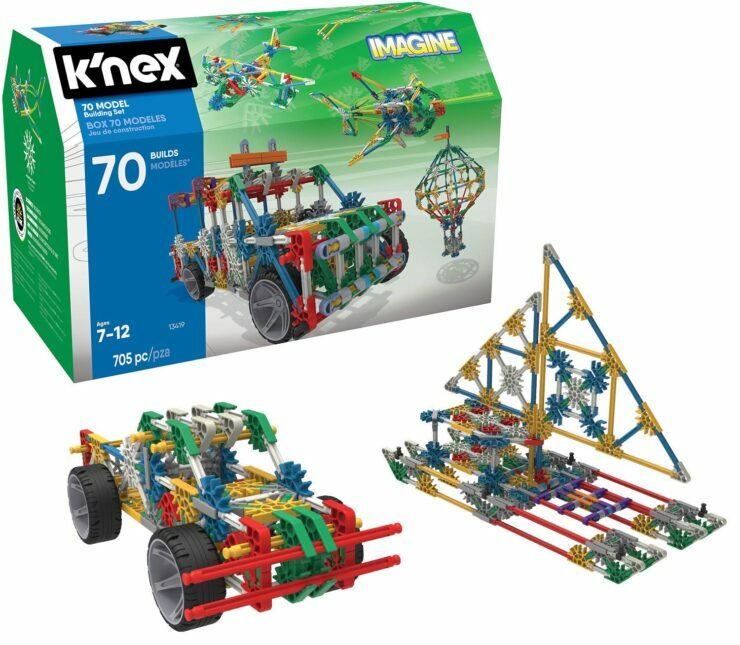 For the versatile: the K’NEX 100 Model Building Set wins, though the Meccano Erector Super Construction 25 in 1 Building Set is another top-class erector set in this category, the K’NEX 100 Model Building Set is preferred for its larger number of pieces. This kit also has more models illustrated on the instruction booklet. The erector set brings much more than just playtime fun for your kids. They are indeed great tools for development both educationally and socially. Parents should however not neglect the considerations put forth in this article when it comes to finding the perfect toy.